“The general objective behind the project was to create a group of packages similar in structure and design to houses whole eggs. 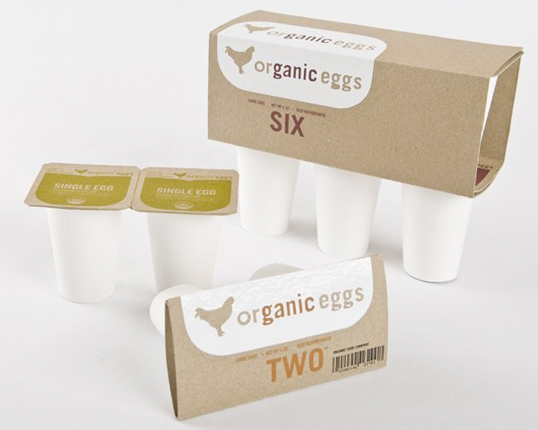 The project asked to create an egg packaging that used limited glue points, and to utilize design in units. not bad, the six pack looks quite tall, though. great execution. 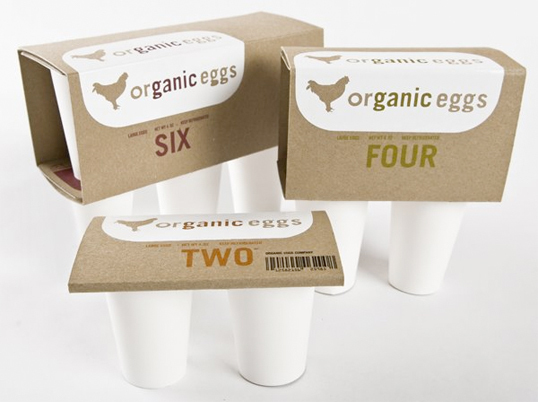 organic eggs always pose a problem since the packaging always seems to contradict the “organic” or “green” proposition. the packaging looks beautiful, but the amount of extra packaging and additional pieces to be produced end up adding more to the waste stream. which solve one problem of over-produced and industrial eggs, but adds another. Massively overpackaged, I don’t understand how these are an improvement on regular egg cartons. Eggs don’t need to be stored individually in this way. Just what the world’s been waiting for: Travel with your eggs with ease! I’ve got to agree with Ben’s comment. There is far more packaging here than is necessary… The design, however, is quite nice. 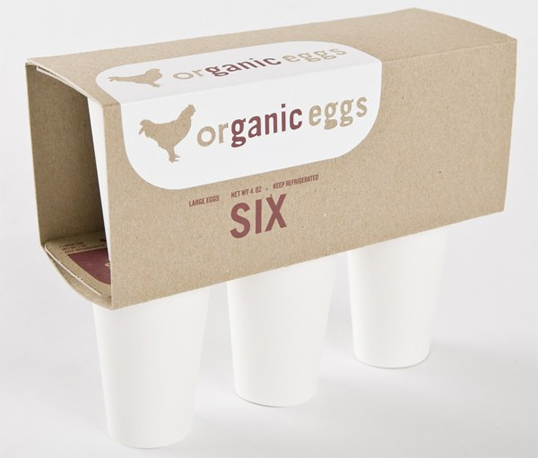 What font have you used for the ‘organic eggs’ and ‘six’?